Let’s say you’ve got a family. A family of five. You and your kids are tired of being cramped in your current vehicle when you take long road trips outside the San Antonio, La Vernia, and Universal City, TX areas. So, it’s past time for a new vehicle. You want something specifically designed and built for families. You know – the kind of vehicle that has an overabundance of cupholders. A vehicle with tons of cargo capacity so you can haul all your stuff. The kind of automobile that offers every conceivable tech feature that eases the burden of transporting multiple kids to soccer practice. Some years ago, if these were your requirements, then you were headed straight for “minivan land.” Now, however, there are other options out there on the market that provide the same capabilities without the minivan stigma. One of the best choices in this vein is the Honda Pilot. Honda calls it the “modern family SUV” and we wholeheartedly agree. Ample room for you and all the kiddos? Check. Tons of tech to keep everyone entertained? Check. Advanced safety features to keep you secure on the road? Check and double check. The Pilot has it all. It’s even got the coveted third row of seating that everyone craves with their sport utility and crossover vehicles. 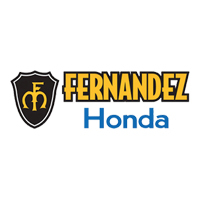 Fernandez Honda has it in stock and on sale at our San Antonio, TX dealership. That’s right. The Pilot is one of the most popular models we sell, so we always keep an ample supply on hand for our shoppers. Now is the perfect time to head down to Texas Honda dealership to purchase or lease a Pilot. We currently have special offers in place that will save you big money on your Pilot. We’ve taken aggressive factory incentives and combined them with our deep discounts to provide you with some of the lowest Honda Pilot prices in the region. Come visit us today at Fernandez Honda and pick out your new Pilot. We’re conveniently located at 8015 IH 35 S. San Antonio, TX 78224. Stop searching for your next family vehicle and take the 2017 Honda Pilot for a test drive. The latest version of the popular and spacious SUV has the versatility you need to fit people or cargo with ease and comfort. When you factor in the latest technology, eye-catching styling, and Honda Sensing, you will be hard-pressed to find a better vehicle in its class. The Honda Pilot was introduced to the North American market in 2003. The crossover was an immediate hit with the public who loved its spacious and feature packed cabin. It sported some of the best cargo capacity of any vehicle in its class at the time, as well. During its first two years on the market, every Pilot model came standard with a four wheel drive system. In 2006, based on consumer feedback, Honda tweaked the exterior of the Pilot with redesigned front and rear ends. Honda also begin beefing up safety features in the Pilot during this time and has continued this emphasis through current generations of the crossover. Honda released an all-new version of the Pilot in 2009. This model featured a more aggressive exterior style along with an increase in size. The 2009 Pilot also benefitted from a brand new 3.5L engine under the hood that was capable of generating 250 horsepower. Honda continued to refine the Pilot over the next years and exponentially increased interior features and technology in the vehicle. The third generation of the Pilot was launched in 2016. This would prove to be the most advanced crossover in the manufacturer’s history and a hot seller upon arrival. Great selection and low prices every day. Those are two big reasons to choose our San Antonio, TX Honda store. Let Fernandez Honda get you into the new or used vehicle you want today at our auto dealership located at 8015 IH 35 S. San Antonio, TX 78224.